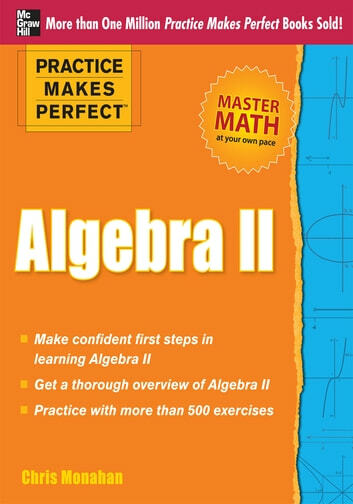 Practice Makes Perfect: Algebra II presents thorough coverage of skills, such as handling decimals and fractions, functions, and linear and quadratic equations, as well as an introducing you to probability and trigonometry. Inside you will find the help you need for boosting your skills, preparing for an exam or re-introducing yourself to the subject. 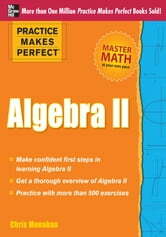 More than 500 exercises and answers covering all aspects of algebra will get you on your way to mastering algebra!